Part of our team debriefing right after the outreach. 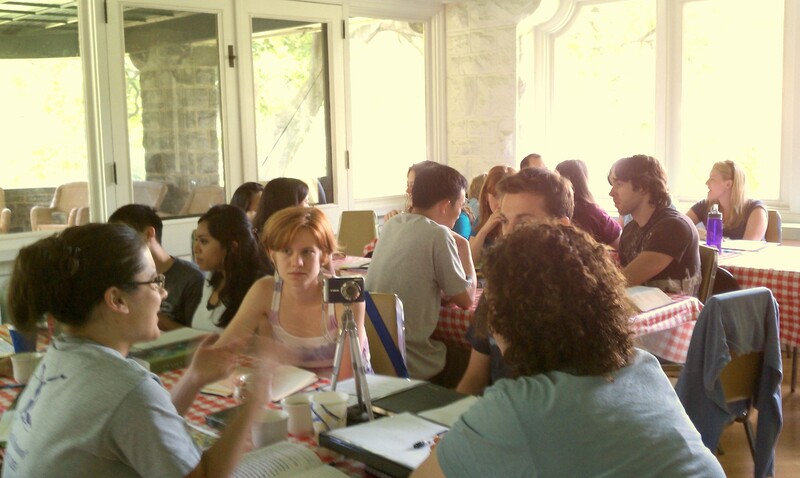 Yesterday afternoon, we held our first Summer Medical Institute (SMI) Philly outreach for the year. Based in Philadelphia’s second-poorest community, we offer free health screenings and discuss spiritual matters with anyone and everyone who wants to. 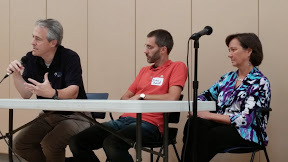 Although we held four hours of training the day before, including what to say when we knock on doors and how to address spiritual concerns, we came away with a profound sense that there’s really no script for this kind of thing. In all honesty, that can be kind of scary, and all of us had some level of anxiety even though most of us had done it before. After all, following Jesus can land you in some pretty interesting situations. Like a community hair salon, where we wound up spending our entire afternoon. At first, I’ve got to admit, it was a little awkward. Although the owner had invited us, when we opened the door we discovered other members of our team were already there due to a change of plans. No one on our specific team had ever done the screenings we were about to offer. Demographically, none of us looked like we belonged there, something that was not lost on the salon’s patrons. And, as a guy, I felt a little out of place. But, there we were, and we weren’t about to miss the opportunities God had put before us. So, with hair dryers blazing all around us, and our interpreter as our primary ‘lifeline’ between us and the Spanish-speaking customers, we started screening anyone who was interested. Our last interaction turned out to be our best one. “Maria” (not her real name) is a woman in her early forties, and she was clearly worried about her health. Although she had been seen by a local clinic, she was not getting adequate services for her high blood pressure and GI issues. Without getting into all the details, she had been eating just once a day to avoid embarrassment at work. And, as the single parent of a two-year-old, she was (rightly) scared about what would happen to him if her health didn’t improve. Although we weren’t able to do much for her medically on the spot, we did connect her with Esperanza, the local, Christ-centered clinic that will provide excellent care for her. And, although she wasn’t ready to discuss spiritual concerns deeply in a public setting, she responded to our offer of pastoral follow-up, even requesting a worship service in her home. Only God knows how Maria’s story will end, but our team left encouraged, feeling privileged to be part of God’s work and believing she will receive the medical and spiritual follow-up she needs. If there’s any ‘script’, it’s Him! Please continue to pray for us, the people we’ll be meeting, and our partners who will be following up in the days ahead. Thanks, as always, for your heartfelt prayers! In just a few hours, we will hold our first Summer Medical Institute (SMI) Philly outreach of the year! We will be offering free health screenings as a service to the Hunting Park (in North Philly) community, and using that as a bridge to share about Christ to anyone who will listen. Pray that the evangelism training I led yesterday would be helpful as we do the outreaches. Please pray that our team of 20 students and other healthcare providers would trust in God, not ourselves, for every moment of the outreach. Pray that we would not be fearful of rejection and not knowing what to say in difficult interactions. Pray for the people we will meet on our outreaches. Many of them are un/under-insured, in significant poverty, and facing many other challenges most of us have not experienced. At the same time, this is a blessing because often a sense of physical need translates into a sense of spiritual need, and we have much to learn from them. We long for them to know Jesus deeply. Of the 20 students on project, only 4 this year are men, so pray that I (Bryan) would invest in Alan, Dan, Luke, and Sam deeply. At the same time, I am so thankful for Sharon, who is spending a good deal of time on project and ministering to the women, so please pray for her as well. 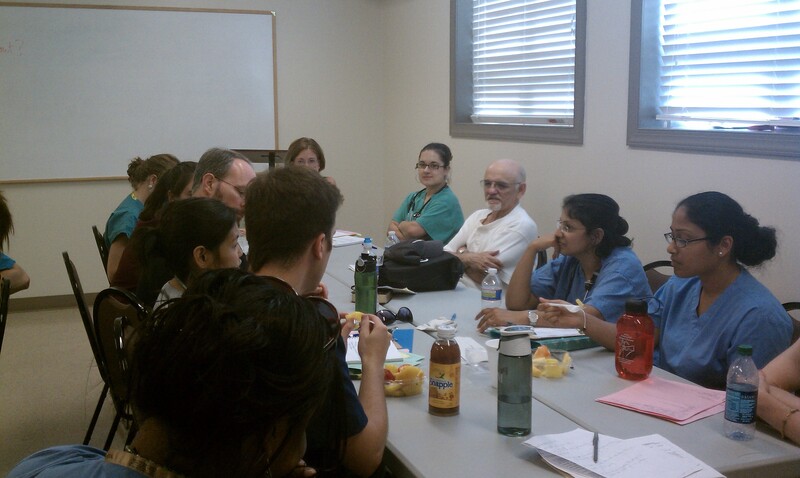 Please pray for the many graduate healthcare “faculty” who will be joining us at various points throughout the project. They will model for the students how to care for “the whole person”, but more importantly just “living life” with the students and investing in them informally. Pray for us, also, as we do some teaching throughout the project, the next session being Thursday morning. I’d like to express real thankfulness for Medical Campus Outreach (MCO), another medical ministry in the city, and Esperanza Health Center, a local Christian clinic, who are sponsoring SMI and have invested so much of their time and resources in this project. So many people have come together to make this project a reality, and we are truly grateful to be joining them in this Kingdom work. Please pray that God blesses them in every way. Finally, I will be at SMI Texas next week (Monday 18th – Friday 22nd), serving in a similar capacity, before returning for the third and final week of SMI Philly. Please pray for my time at SMI Texas, where roughly half of the students are from the Philadelphia area. As always, we are thankful for you, our partners in this work. We have a deep sense that you are there with us through your prayers and gifts that make it all possible. We can’t wait to share more with you as the project unfolds. Job Summary: Esperanza Health Center seeks full-time Bilingual Medical Assistants to work with clinicians in a primary health care setting as part of the Esperanza clinical care team. Individual must be conversational in Spanish and English. Experience with basic skills (such as taking blood pressure, administering shots, and taking medical history) is preferred. 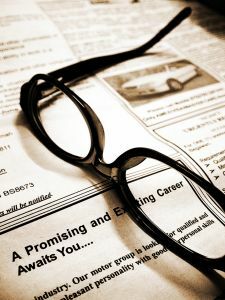 Ideal candidate will have a strong desire to serve Christ in a ministry setting. Candidate must have a Medical Assistant Diploma. Hourly position includes vacation and sick time, holidays, medical benefits and retirement plan. To apply: Please send resume/CV and cover letter to resumes@esperanzahealth.com.